James Alan Tarkowski is an English footballer who was born on 19 November 1992 in Manchester, England and plays as a centre back. He has had a meteoric rise in English football and has an impactful defensive presence. Tarkowski leeft Failsworth High School and started his football journey with Oldham athletic in May 2009 on a two year scholarship. He made his reserve team debut five months later. Tarkowski made his first team debut at Oldham in January 2011 in a league match against Plymouth Argyle. He made his senior team debut against Brentford on 22 January 2011. In May 2011, he was given a two year professional contract and made 9 appearances in his debut season. In his next season for the club, he made a total of 18 appearances while also scoring a solitary goal against Carlisle United. Tarkowski made his international debut for England in an international friendly against Italy at Wembley stadium on 27 March 2018 which ended in a 1-1 draw. This is his only appearance for England till now. Tarkowski became a regular at Oldham and made 26 appearances for the club in his third season while scoring two goals in the League One. He made a total of 89 appearances for Oldham while scoring 6 goals before signing a contract with Brentford FC in January 2014. In his debut season at Brentford, Tarkowski made 13 appearances while scoring 2 goals in League one. He made a total of 74 appearances for Brentford FC while scoring 4 goals and also providing 5 assists. He signed a contract with Burnley in February 2016 and made his debut for the club against Rotherham United on 20 February. 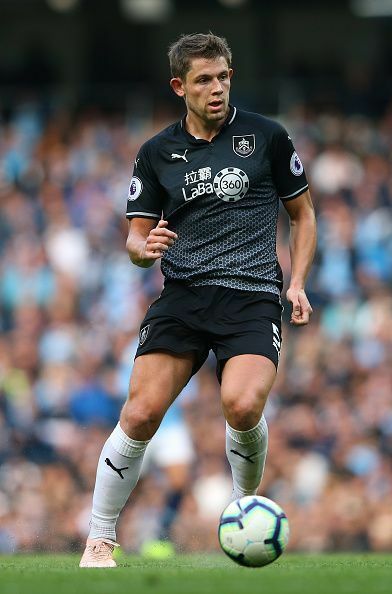 Tarkowski has made 55 appearances in the premier league for Burnley till now.